The Coen brothers have been known for some pretty big hits with their off-the-wall surreal sense of humour. Fargo (1996) and the Big Lebowski (1998) have gone down in cult film history and with the more recent Hail, Ceasar (2016) comfortably outperforming its budget, although modestly, the writing and directing duo can basically do what they want. So it was a bit of a surprise that they were to release their next film straight to Netflix. The film, however, is unique and bizarre and benefits from a home viewing, allowing the audience to pause at will. Netflix originals, for better or worse, tend to tread their own path and this movie has individuality in spades. The Ballad of Buster Scruggs is an antholgy of six stories all set in the American mid-west during frontier times. Before each story begins, a hand is seen turning a page of a book to reveal the title of the story and a picture that turns out to be a drawing of a still in that story. 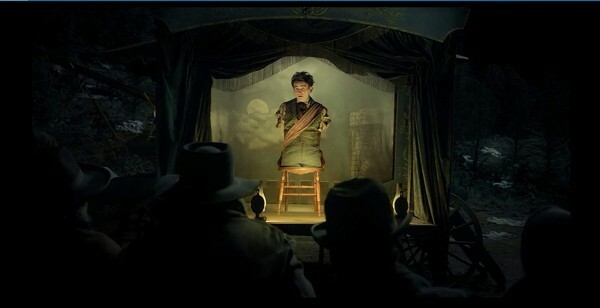 The eponymous first tale follows a singing cowboy, played by Tim Blake Nelson who is also a crackshot. The story's cheery and upbeat telling riffs well off the disonance against the ultra-violent and somewhat graphic action. The second tale, Near Algodones, is more darkly-humoured and features James Franco as a cowboy trying to rob a bank. This tale is similar to the atmosphere in Sergio Leone's dollars trilogy, but with a more hapless lead character. The third tale, Meal Ticket, stars Liam Neeson and Harry Melling (Dudley Dursley in the Harry Potter films, no less!) as a travelling impresario and actor respectively. The latter has no limbs and performs extracts from works of Shakespeare, the bible and Shelly's Ozymandias while the impresario collects money and drives the duo from town to town. This is the darkest and most inventively told story of the lot, with very little dialogue save for the actor's performances. The fourth tale, All Gold Canyon, features Tom Waits as a gold prospector who happens upon a beautiful and untouched valley located on top of a gold seam. 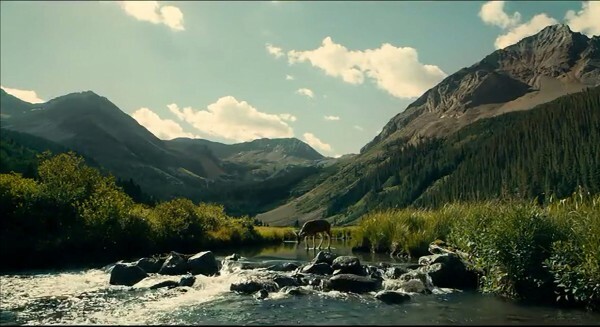 This story is exquisitely shot, the landscape brought to life by the cinematography. It feels a little comical for Tom Waits to be wandering around the middle of it, muttering nonsense to himself. The fifth tale, the Gal Who Got Rattled, features Zoe Kazan and Bill Heck as two travellors on the Oregon trail who begin to fall in love due to their shared circumstance. This story is a little more wholesome and shows the kindness of humanity rather than portraying the Old West as an entirely lawless place. This story does floor the pacing a little, though and it was at this point I started wondering how many stories were left. The sixth and final tale, the Mortal Remains, is the most artistic and interpretive story in the film. It stars Jonjo O'Neill and Brendan Gleeson as a pair of bounty hunters, who style themselves as 'reapers', and are journeying by coach to a town where they can drop their latest bounty's dead body off with the sheriff and claim their reward. They share the carriage with three other passengers and the five muse on the meaning of life, love and death before exiting the coach and entering their hotel. The beauty of this film is that it feels rather like an EP, with a few tracks expressing different moods on the same theme. You can enjoy each one as you would stories around a campfire, and pay attention as and when you want to without having to worry too much about missing important details and being unable to follow the plot. Each story riffs on death and the fleeting nature of human existence with the trademark wacky gallows humour of the Coen brothers. The acting for the most part is phenomenal with the actors being given space to really get into their characters. Liam Neeson and Brendan Gleeson are the picks of the bunch, managing to give compelling performances despite having very few lines. As with most anthologies, however, some stories are better than others, and as previously mentioned, the Gal Who Got Rattled suffers from pacing issues which, while not making it bad, did make it a little boring at times. I also found some stories affected me more than others. I spent the first five minutes of All Gold Canyon shaking off the sense of despair left by Meal Ticket, and I spent a while wondering why Meal Ticket was less madcap and action-packed as the previous two stories. If it were an album, it would be like following a punk rock song with some romantic-era piano music. 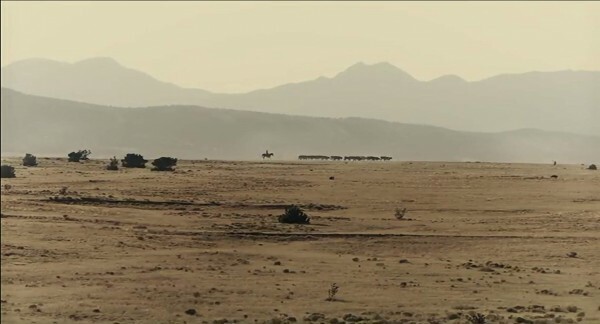 That being said, the cinematography in each story is amazing, and the filmmakers should congratulate themselves at being able to capture so much of the mid-west landscape in such eye-watering detail.